From his misspent youth skateboarding the frontier towns of North Eastern England, Martin Iveson arrived into the UK’s Midland scene in the early nineties, here he was to take a job at a new computer games development studio by the name of Core Design Ltd., this company is now synonymous with Lara Croft and the series of Tomb Raider games. Not content with scoring this, one of the world‘s most famous video games, Martin left the company 13 years later to concentrate more on his own studio environment in which to channel his musical aspirations further, and invite other musicians and producers to do the same. The success of his early works including his first EP ‘Story’ in 1996 led to the well-received album ‘That Something‘, which was later licensed in Japan by Sony/Kioon in 1998. This debut album also featured cover artwork by Fujio Akatsuka, very well known in Japan for his Illustrations and animated cartoons. With two further albums, ‘Labfunk‘ & ‘Labresults‘ following soon after, Atjazz had at this time established himself as a distinct and inspirational voice in the underground music scene. Martinâs trademark sound has been requested on many occasions by top class vocalists including Clara Hill, Replife & Deborah Jordan for their own artist album projects and also rubbing shoulders with some amazing musicians & producers along the way. Martin has also teamed up with world-class production legend Charles Webster as âVersionâ and are working on their debut album for Miso Records. 2009 saw Martin close his label Mantis Recordings due to harsh industry changes and from these ashes came the Imprint appropriately named ‘Atjazz Record Company’, which has flown to great heights within the digital realm and has seen many fantastic and sought after releases including his 3rd long player ‘Full Circle’. This label concentrates heavily on Martin’s productions and collaborations. 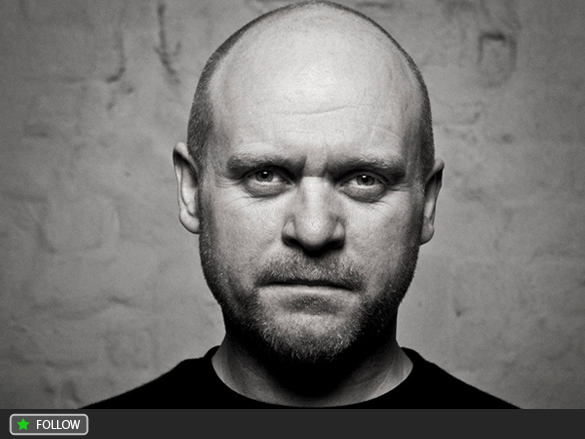 Atjazz Record Company is a new chapter for Atjazz but with a continuation of his trademark sound. Martin ‘Atjazz‘ Iveson is in demand across the world: Whether it be renowned producer, sought after remixer, or floor filling DJ, Martin gives his heart to hold the soul.